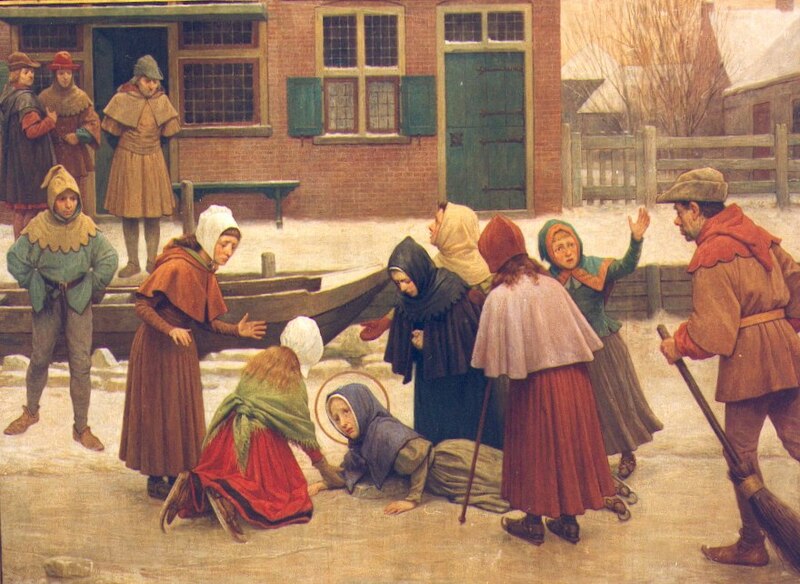 In 1380, Saint Lydwine was born in the small town of Schiedam in Holland. Her father was a wealthy noble named Peter, and her mother was from a poor family who worked their own farm. Her father’s family lost their fortune, and the whole family was reduced to poverty. At that time, all of Christendom groaned under the weight and confusion of the Great Schism. At 15, while ice-skating with her friends, Lydwine broke a rib, forcing her into a bed she would never leave. At age 15, she fell on the ice and was bedridden for the rest of her life. Over the next 38 years, she would frightfully endure every known ailment of the time with the exception of leprosy. Swollen with liquids, her stomach would expand to such an extent that she appeared to be with child; intolerably sensitive, her eyes would shed blood whenever they were struck by light and transfixed by agony, she bore the side wound of Christ’s passion through the stigmata. Although in the onset of her sickness, she was given to despair, and rejected this torrent of sufferings, she soon became inflamed with an intense love of God that no pain could extinguish. Then, crippled by the agony of her infirmities, she donned a hair shirt and took to an insufficiently thin mattress of straw strewn on the floor, to augment her already unspeakable pain. 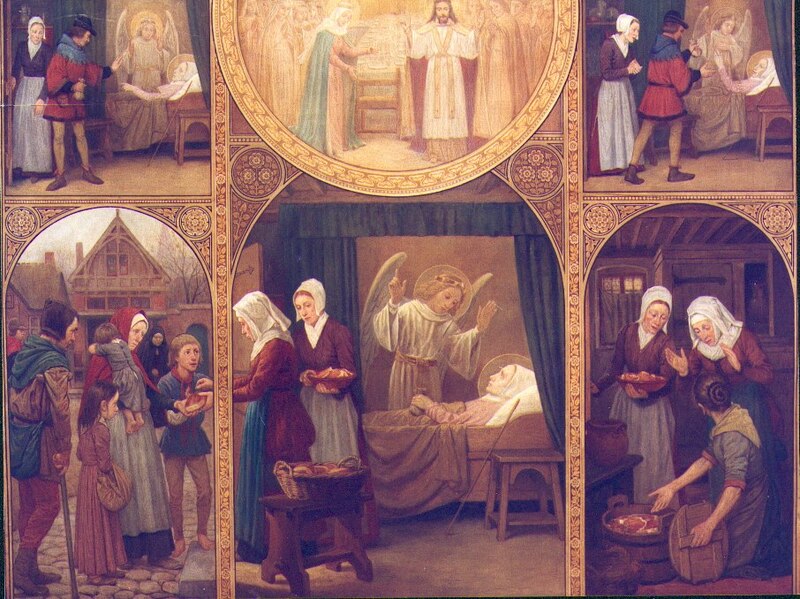 Compensating her many sufferings, Saint Lydwine was graced with a heavily mystical spiritual life. 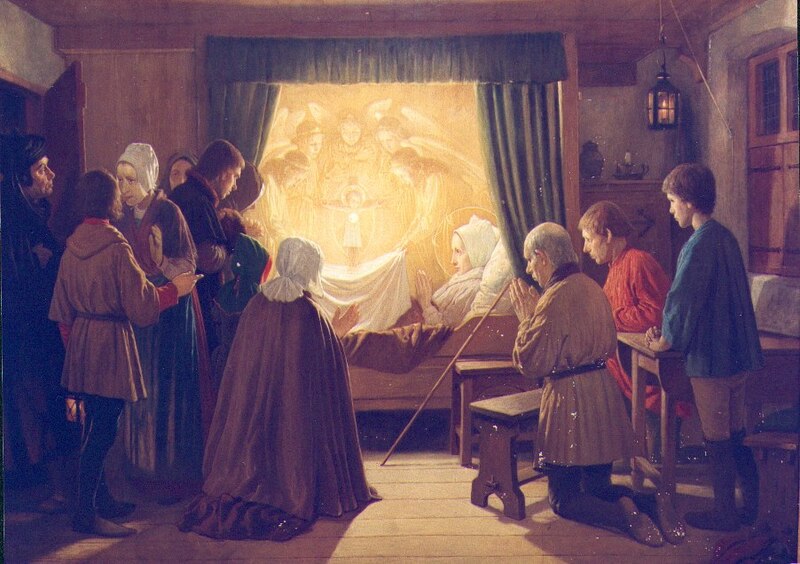 She was often taken to the earthly paradise, and held colloquies with Our Lord, Our Lady, the angels and saints. By the time of her death, her body bore all the repugnant signs of a lifetime of suffering. However, upon dying, she was miraculously restored to all the former youth and beauty she possessed before her illnesses. 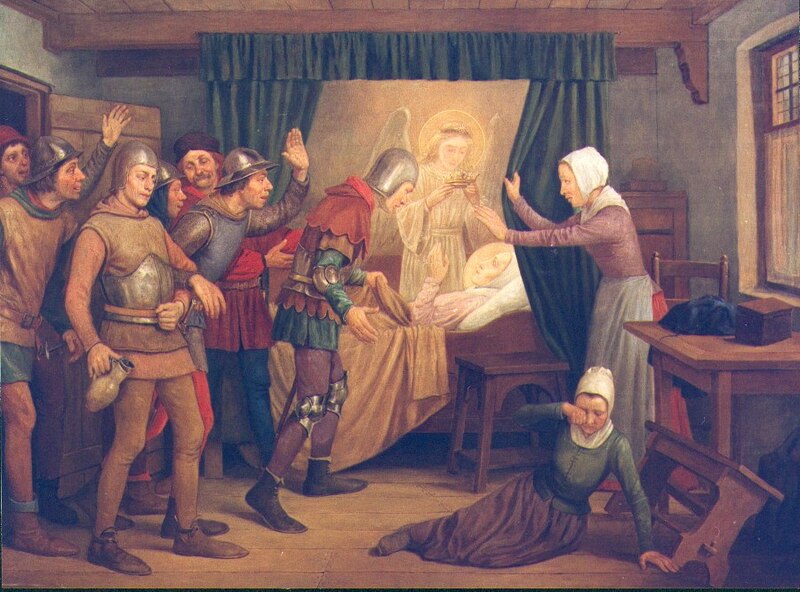 Joris Karl Huysmans, her biographer, applies the sufferings of Saint Lydwine directly to the moral crisis aborning at the time. He shows that despite some technical advances, the Renaissance was essentially the rebirth of paganism. He then described the reactionary legion of men called by Divine Providence to fight against the errors of this new historical epoch. He cleverly divided this legion into three levels, each with a specific function. The first consisted of the Franciscans and preaching orders who evangelized and confessed the Faith. The next was made up of the cloistered orders, whose prayers insured the success of the first level. 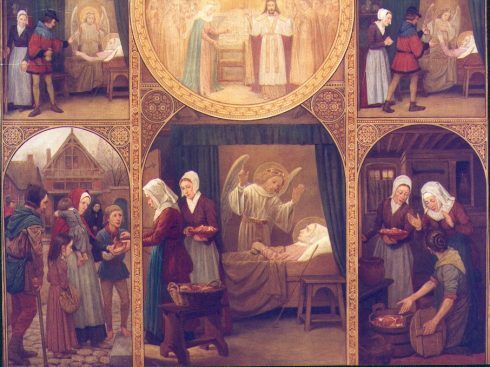 Saint Lydwine belonged to the last level, where those suffering souls, seemingly detached from events of the time, bought the graces from God to decide the course of history. 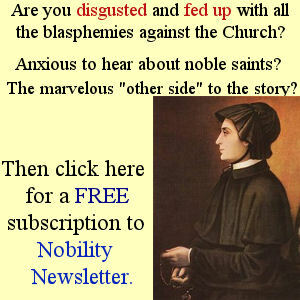 Immersed in the moral corruption and decay of modern society, we wonder if there still exist expiatory victims whose continual mortification holds back the chastising hand of God, allowing Him to bestow undeserved graces and blessings upon a sinful world. There certainly has never been a time more in need of them.